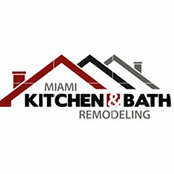 At Miami Kitchen & Bath Remodeling we believe the values we practice daily make us a better design and build company. Words like humanity, integrity, & honesty are just as important to us as craftmanship & quality. These values are instilled in our company and our team.Customer service and satisfaction is our first priority which makes us a great choice.